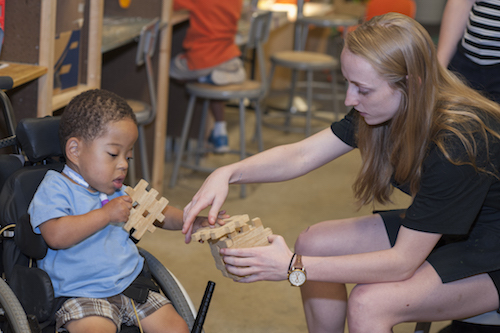 Play For All are sensory friendly play dates designed for families and children with disabilities or special needs to enjoy private time in our hands-on exhibit spaces to explore and acclimate without the extra stimulation of our busy open hours. Best of all, they’re free! Pre-register at: http://www.townofchapelhill.org/register Click on Adapted Programs. Scroll for activity number 230630-D to register. This program is designed for participants ages 0-10. Siblings are invited, but registration is required. Limited number of spaces available. Kidzu provides a social narrative, a short story written from a child’s perspective, to help prepare you and your child for your visit to the museum. The social narrative can be downloaded and printed here before your visit or copies are available at the front desk. Thanks so much to TEACCH for their guidance in developing this program.